In the world of ice and snow, birds help reassure us that spring is really coming! At different points in the spring there is a continuous flow of bird movement to explore. Understanding who lives where is one of the secrets to knowing the birds! 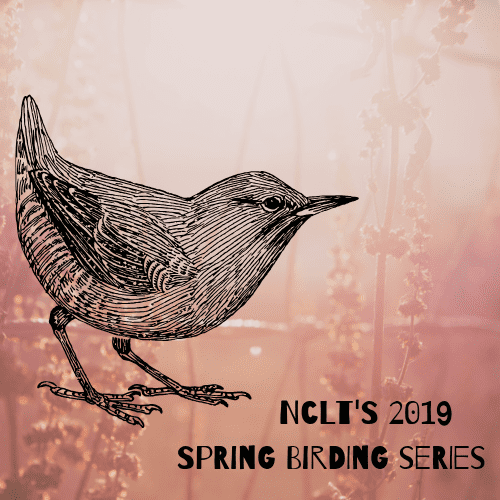 NCLT is offering an exciting birding program series this spring to highlight certain birds in their unique habitats. Bird enthusiast Clay Hobart will teach us interesting information about some characteristic birds, as well as how forest health and changing habitats affect our bird populations. Registration is recommended at the each event link below. Also, stayed tuned for information about a Hawk Migration Day happening in early October 2019!